June 11, 2015, 4:46 p.m. 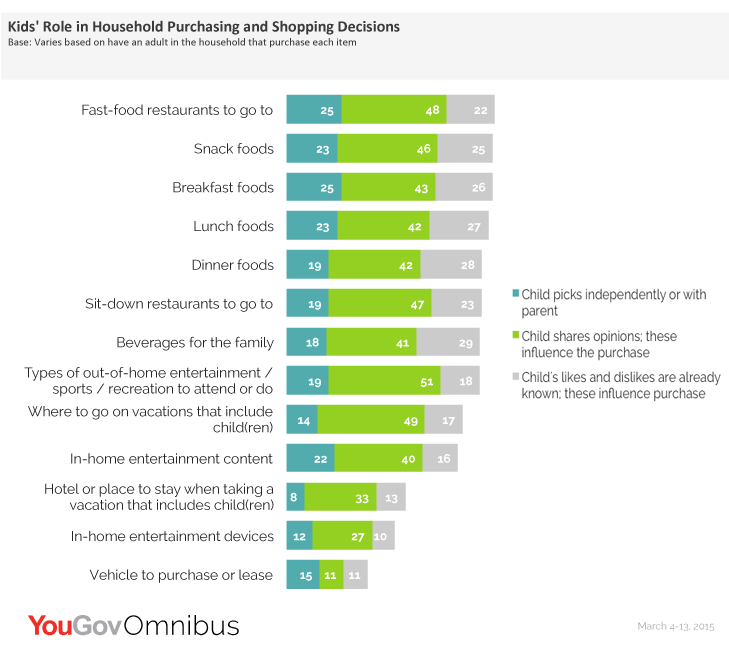 According to the latest YouGov Omnibus Parents Survey (sent to parents of children ages 6-17), American youth are fast learners when it comes to influencing parental purchases. Most parents (57%) think of their children as successful persuaders, and young children can be just as persuasive as teens. The top pester-power tactic, according to 71% of parents, is old-fashioned verbal negotiation. Bartering by promising to do additional chores or getting better grades (50%), creating wish lists (45%) and offering to pay for part of the object of their desire (42%) are also favored strategies. Parents say some kids list pros and cons or write persuasive letters (or Power Point presentations) to parents (14%) while others send links (16%) and use social sharing sites like Pinterest or Instagram (9%) as they make the case for getting what they want. 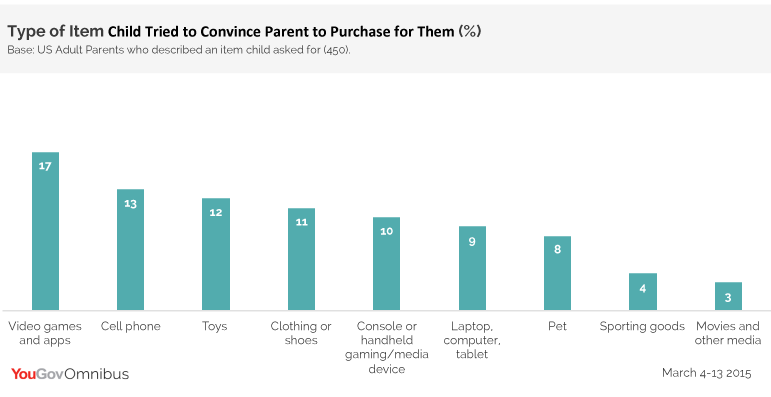 When asked to describe a situation when a child tried hard to win a parent over and get them to make a purchase, 42% of parents said that they buckled under and bought the item. Average cost of purchase (excluding the handful of requests for cars): $233 with video games and apps (17%), cell phones (13%) and toys (12%) dominating the list. Other items asked for include clothing and shoes (11%), gaming devices (10%) and pets (8%). Half of children ages 6-17 (50%) research products and services before they purchase – more so as they get older (64%). 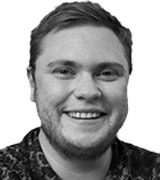 34% prefer to shop where they have a reward or loyalty card (also higher for teens at 40%). Parent’s leverage their children’s consumer prowess when it comes to household purchasing and decision making. 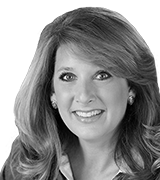 Combine this with kids’ pester power skills and parents overall desire to make their kids happy and ensure that what they buy does not go to waste, and it is clear that kids have significant direct and indirect influence over how moms and dads spend their money and make marketplace decisions. From selecting fast-food restaurants (95% of parents say their child influences this decision), to determining the types of beverages bought (89%), to where to a family should go on vacation (80%), today’s kids are active decision makers in family economies. Additionally, parents often take the backseat to their kids’ preferences when it comes to kids’ apparel and footwear choices with 44% and 50%, respectively, saying their kids independently choose what they want and 70% saying the choice of where to shop for these items is either driven entirely by kids or is made as a joint decision with parents. Decisions over technology items and where to buy them are also heavily influenced by kids with 58% saying the decision on what kids’ handheld/mobile technology products to buy is made solely or jointly with parents and 39% saying the decision on where to shop for these items is also a kid-exclusive or joint decision.